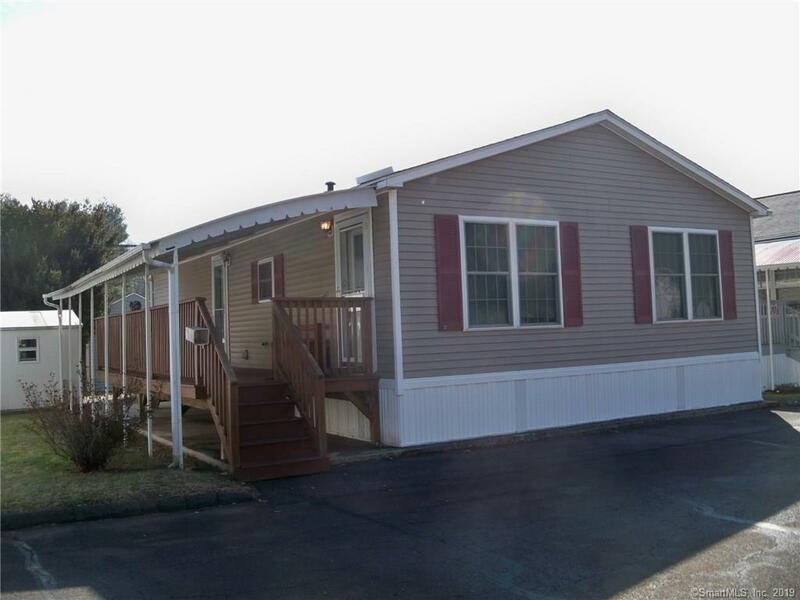 Spacious Double Wide Mobile Home built in 2002 in 55+ complex. Brand New Roof - 6 Months old!! 8x24 covered deck w/steps to a 8x16 concrete patio & 8x10 shed for storage. 1,056 sq. ft. unit with C/air! Large appliance kitchen! Light & bright Living Rm! Full bath w/walk-in tub! Master BR w/walk-in closet & half-bath! 2nd BR is very good size! Washer & dryer stay! Anyone who resides in this complex must be 55+ yrs. old & must be approved by park owner. This is a wonderful unit! Ready for immediate occupancy! A must see! Directions: Route 68 To Main St./North Turnpike Rd. To Loring Trailer Park On Right-Hand Side.